Style and performance come together in the TS.3204 door closer range ideal for mid-range contracts. Available in power size EN 2-4, they're CE marked and classified to meet and exceed European standards. These door closers are tested to 120 minutes in successful EN 1634 fire tests. 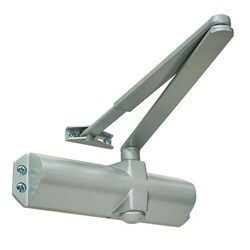 Be the first to submit a review for the TS.3204 Contract Door closer.